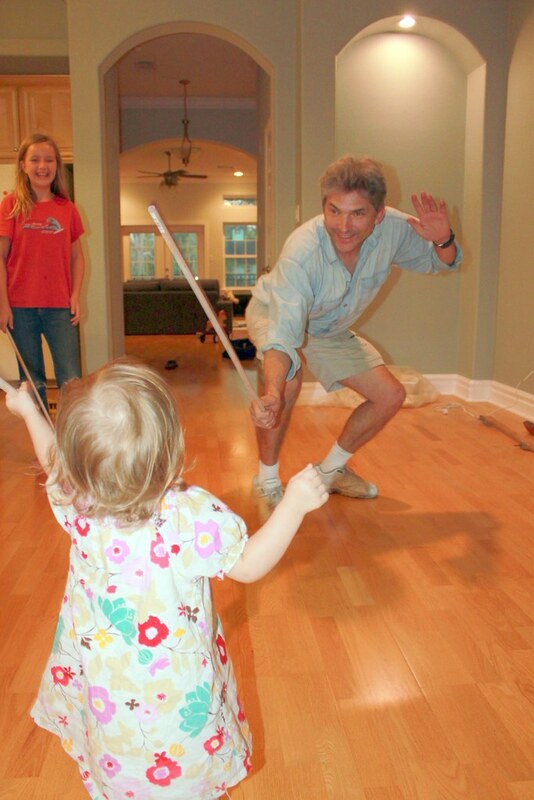 How fun - both the house and the "sword" fighting! Nice to take a break from all your hard work! Oh I'm always in favor of not putting out an eye! But at least with the dowels no one's waving around a red hot poker like the kids always are when they're making s'mores. The house looks really pretty!!! Arrrrrgh! Go Kitty! That's an awesome photo! For one thing the work is never done... the boat always needs to be maintained and so it goes on and on and on... but it's fun. That's coming soon... You're almost there.